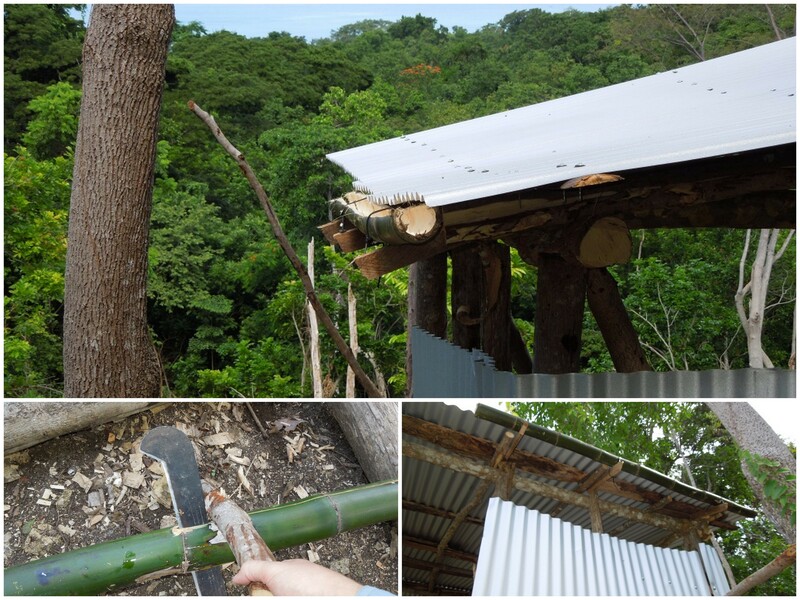 Peace Corps Volunteers live on a minimal budget and, often, the resources and supplies that were so readily available at home are harder to come by in our countries of service. This brings out some very creative ways to make do. 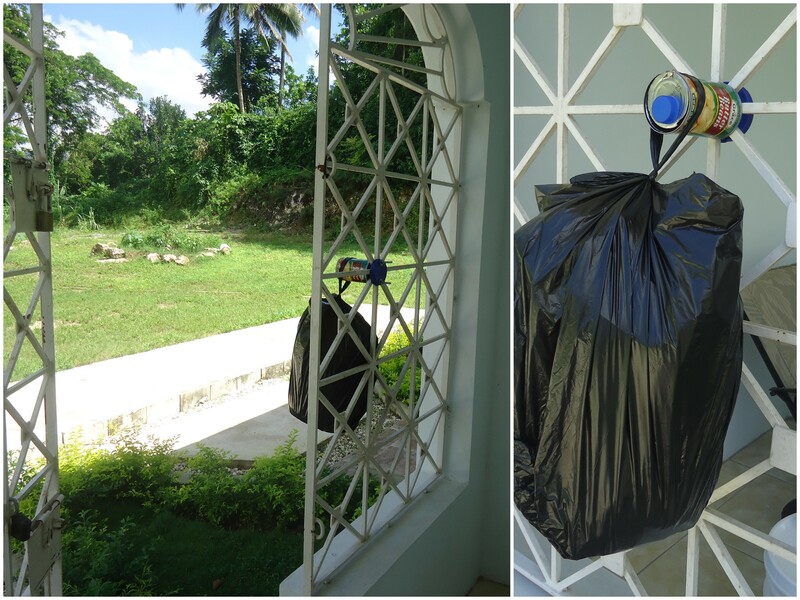 The spirit of resourcefulness is also a big part of Jamaican culture. 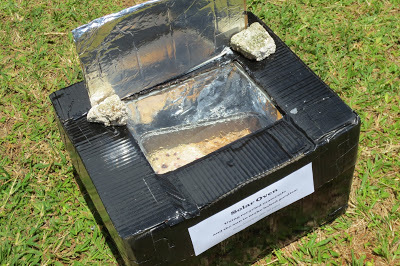 One of our PCV friends had a brilliant suggestion that we compile a list of all the ingenious, crafty, make-shift creations that current volunteers have made while living in Jamaica. We were pretty impressed with the results. 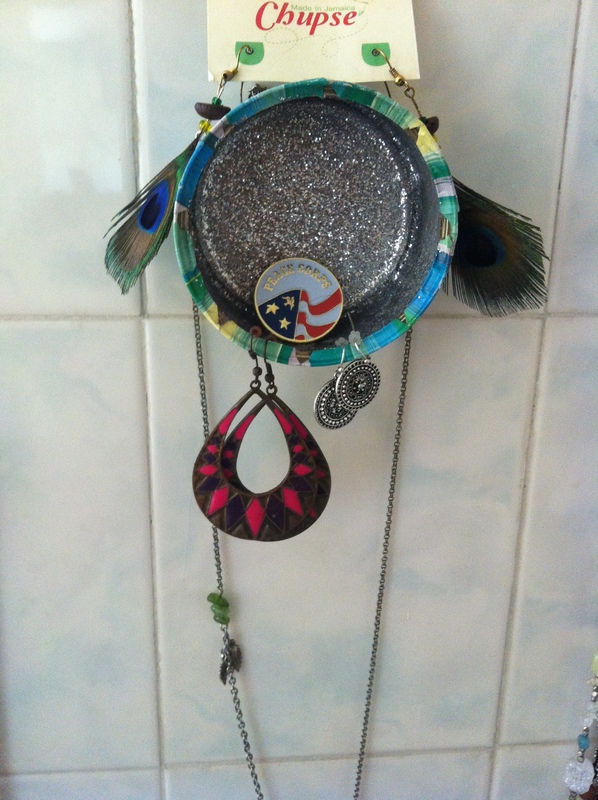 “Kitchen Counter: I made this last year as a Christmas present for Linnae. Made for a lot more space for meal prep and storage of kitchenware and canned goods. Chick Cage: I made this because we had an issue with a mongoose eating baby chicks. We fed chicks until they got big enough to survive and find a safe roost at night. 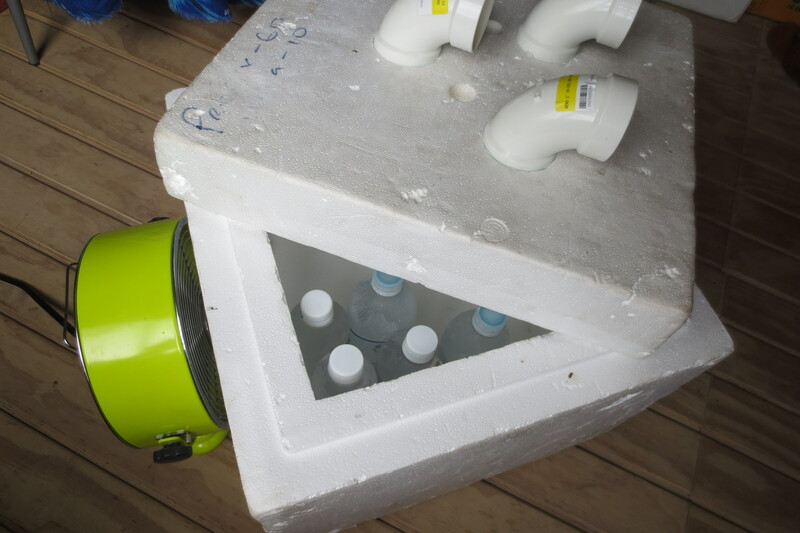 AC Unit: The Do It Yourself Air Conditioning unit uses insulated ice and an electric fan to blow cold air into a room. 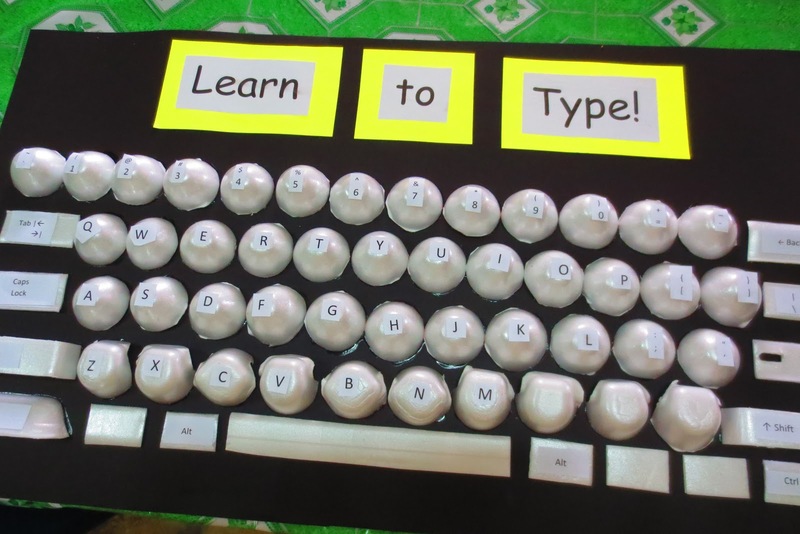 Keyboard: This is a computer keyboard replica made out of egg cartons so students can learn a little about typing when computers are not available. 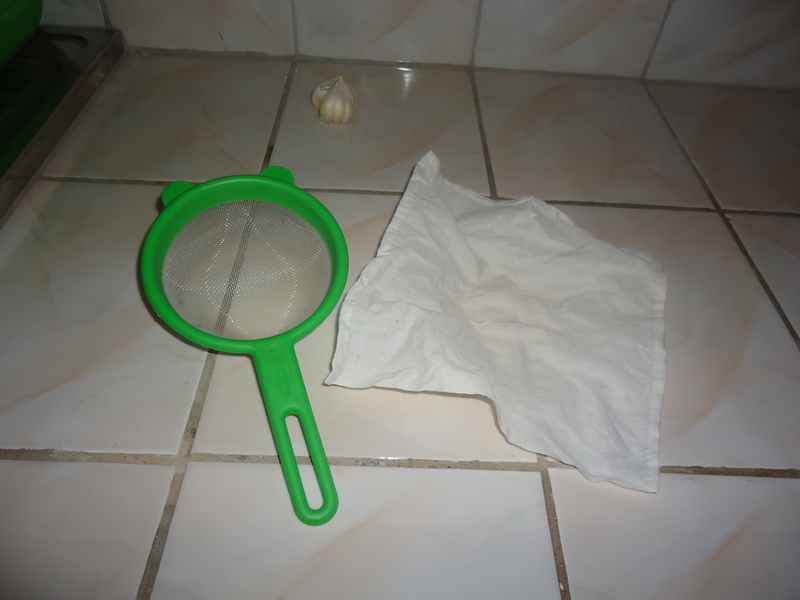 Coffee Filter: “The coffee filter I use every day.” The filter is cotton fabric from the nearby market town, hemmed by hand, and layed over an all-purpose strainer to drain. Letter Tiles, Crocheted Tie, and Container: “The majority of my crafts have been school supplies, but I didn’t want to go crazy with teacher promotion. I’ve included one pic of my letter tiles, which were made from cereal boxes. Another picture is a cheez whiz jar serving as a container to hold my q-tips, and I have another at school which holds my chalk. Third, a little crocheted tie to hold my back curtains. And not included in the pictures is a scratching post for my new kitty, made from a cardboard box. I’ve also crocheted a scandal bag holder out of scandal bags.” You can see these additional creations and more on April’s blog post, Turn Your Hand. Souvenir cups and Lantern: These cups and candle holder were made using a string soaked in acetone to cut the bottles. The edges just need to be sanded down after cutting. The Red Strip cups are a great up-cycled, Jamaican souvenir or gift. Sidewalk Chalk and Magazine-Paper Beads: We met Sara in DC through Peace Corps’s Third Goal Summit and Blog It Home competition. She is volunteering in Thai schools. The crafts featured on her blog include an entire magazine-paper bead project, DIY sidewalk chalk, origami, TP roll lanterns, and other recycled craft projects. 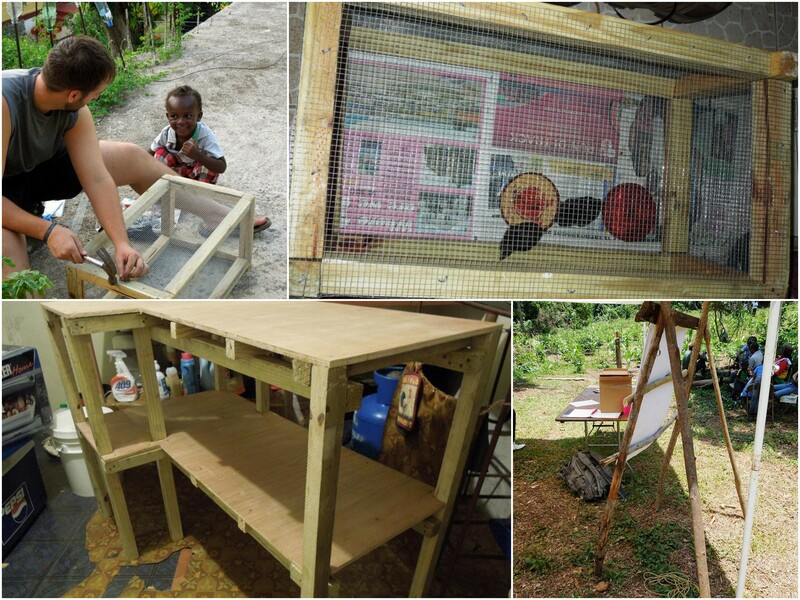 Are you a Peace Corps Volunteer with a crafty, ingenious, or make-shift item to share? Please leave a comment by November 30 so we can tell you how to get your photos in the second edition of this series. A very big thank you to everyone who has contributed so far! 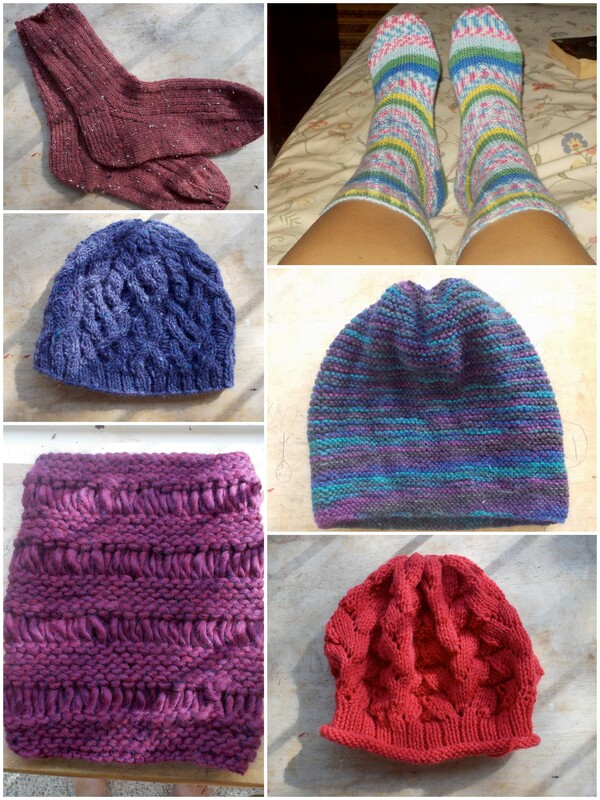 Thank you for featuring my crafting! 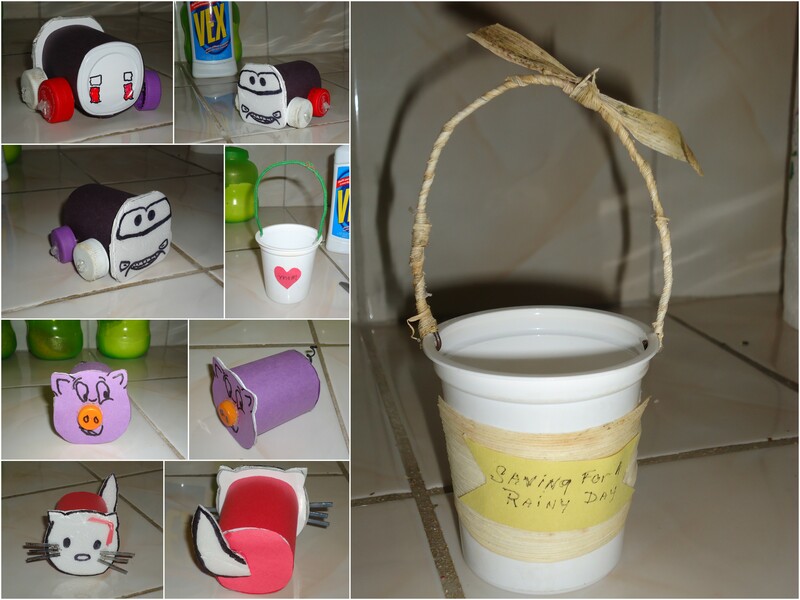 The crafts from PC Jamaica are also really awesome; I have a stack of yogurt cups just waiting to become animals 🙂 Looking forward to more artistic inspiration in your next DIY post!